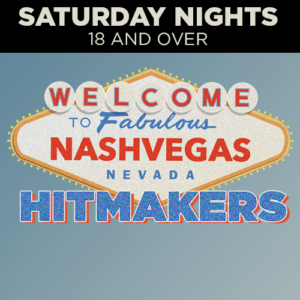 From Music City to Sin City, Stoney’s Rockin’ Country is proud to present the "NashVegas Hit Makers Series”! This intimate, acoustic show brings to life the stories behind all of your favorite hits from the greatest writers in the music industry. Join us every Saturday from 7:00-8:00 p.m. Doors open at 6:00. Joe West Songwriter/Producer/Performer: As a songwriter he has had multiple #1 singles as well as cuts with Keith Urban, Toby Keith, Tim McGraw, Jimmy Wayne, Julianne Hough & many others. His music has been featured in over 100 network, cable & feature films. West also has a long & distinguished list of production/mixing credits including; Joey + Rory, Emmy Lou Harris, Warren Zevon, Shakira, Justin Timberlake, Jimmy Wayne, James Otto, Mercy Me, Steve Earle, Mathew Sweet, Indigo Girls & many more Grammy Award Winning and Multi Platinum selling artists. In 2016 Joe West produced & mixed the 15 week and counting Billboard #1 album for Joey + Rory. #1 BILLBOARD TOP SALES ALL GENRE, 4 week #1 BILLBOARD Top Country Album chart, 15 week # 1 BILLBOARD Top Contemporary Christian Album chart, 11 week #1 Billboard Music Video chart all genre, 11 week #1 BILLBOARD Christian Music Video chart. Music has always been a way of life for Jamie Teachenor. Growing up the son of Rockabilly Hall of Famer, Jim Teachenor, and raised in a family of musicians, Jamie fell in love with singing and playing the piano as a young boy. At the age of nine, he began fronting bands and playing venues all over the Southeast and Midwest. As a teenager, he discovered his talent for writing songs, and his unique ability to connect with an audience began drawing thousands of people to his shows, landing him on the front pages of many newspapers, and gaining him lots of airplay with his regional hit single, “Baby, You Can Fall In Love With Me.” He soon left his home in Fagus, Missouri to pursue music professionally in Nashville, Tennessee. In early 2012, Jamie released his debut album, “The Departure.” His first single, “I Never Know,” and his follow-up single, “Free Birds Have Cages,’ both received airplay on Country and Rock Radio. “Free Birds Have Cages,” first aired on RFD TV’s “The Joey + Rory Show,” and he recorded a special mono acoustic version of the single using a late 1940’s era Magnecord tape machine, that was featured on a season one episode of “Nashville Time Machine,” along with a story Teachenor told, titled, “How He Would’ve Wanted It.” He also saw success on College Rock and AAA radio, nationally and internationally, with “Burning,” his third single from “The Departure.” Later that year, Jamie signed an exclusive songwriting agreement with Gasohol Music Publishing, forming the band, “Lo-Fi,” with his new publisher, multi-platinum Grammy Award winning songwriter, engineer, and producer, Joe West. He immediately began working on his 2nd solo project, “Waiting Room,” an EP released in late 2013, and Lo-Fi’s self-titled debut album which is set to come out in early 2014. Lo-Fi made their first public appearance at The Ryman Auditorium as part of the sold out show, “Honor Thy Song,” a concert remembering the songs of Tim Johnson, award-winning Nashville singer-songwriter & producer. The soul of this storyteller and his melting-pot-musical-roots prove that Teachenor has truly been given a multi-genre gift and can appeal to listeners of every kind. His charismatic personality on-and-off stage, gives him the ability to continue to play to sold-out audiences everywhere.